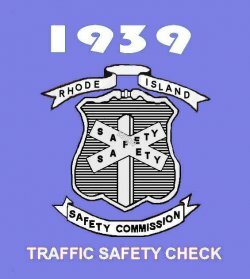 1939 Rhode Island inspection sticker - $20.00 : Bob Hoyts Classic Inspection Stickers, Add a Final Touch to your Restoration! This 1939 Rhode Island Inspection sticker was recreated from a very poor original. We took some liberties in the creation and invite anyone to help us correct it. It has our patented "Peel and Stick" format which allows for attaching to the inside of your windshield, on the passenger side. Rhode Island stickers do not indicate what months the stickers were issued or expired.